There are many bullying facts gathered through bullying research, focus groups, and psychological examinations. We have provided some basic bullying facts for you to familiarize yourself with. What are the Three Types of Bullying? Bullying comes in physical, verbal, and relational varieties. How Do You Create an Anti-Bullying Culture in the Workplace? Your organization can create a culture of respect, civility, and empathy. 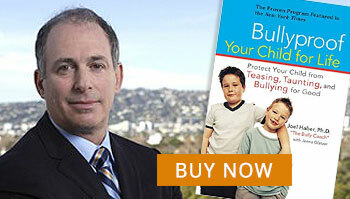 For more information, see Dr. Haber’s Workplace Bullying Programs. With bullying facts in hand, click here to learn about the anti-bullying programs Dr. Haber offers.